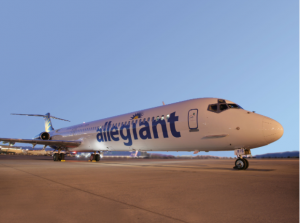 CVG has extended the tremendous success of 2017 into 2018. It was announced that passenger traffic has increased 20% year-over-year. Also, this past month was the 42nd consecutive month of year-over-year passenger growth. What an incredible turnaround for our airport! In addition, new flights continue to be added. Southwest Airlines arrived about a year ago, and have already added additional non-stop flights to Denver and seasonal service to Phoenix. CVG is definitely a great regional success story, and we are extremely proud of Kenton County Judge Executive/OKI 1st Vice President-Kris Knochelmann, CVG CEO-Candace McGraw and the CVG Board of Directors. OKI staff is relentless in putting together new tools for our communities. Through grant funding, OKI will produce Community Strategic Energy Plans for eight interested local communities in southwest Ohio. The central idea of this project is to discover what local priorities are related to energy use and infrastructure. Through work on these plans, OKI will develop knowledge, methods, data, and indicators that can be applied elsewhere in the region. These will be available as a resource to all OKI partner communities. Now, the next part of the project is just cool. OKI staff have developed individual story maps for each of the communities involved. 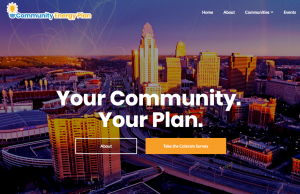 The story maps take you on a visual journey through the development of the individual energy plans. The amount of data that is displayed, in an easy to digest way, is astounding. I encourage you to take a look, and learn more about the energy plans. 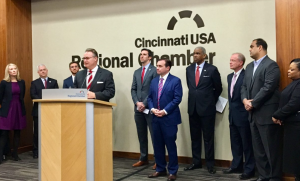 In January, OKI partnered with Uber, Cincinnati USA Regional Chamber, and the City of Cincinnati to form the Cincinnati Urban Mobility Lab. The lab has spurred a wealth of data sharing and new ideas. Currently, we are studying how Uber and OKI’s data can be linked together. One of the original thoughts Uber had for the lab was to identify food deserts throughout the region. That idea has evolved into analysis of other accessibility issues involving daycares, hospitals, urgent-care, post-secondary education and transit. We are obviously in the early stages of this three year relationship, however, I’m amazed at how quickly we are identifying new opportunities. Uber has been a very giving corporate partner. The work that we originally thought would be a simple data exchange, has actually led to some pretty interesting projects, which may result in solutions for issues facing the region. We just have to do the work! I think it’s important for you to know where OKI has been in the community. OKI staff is frequently engaged with the leaders and citizens of the region. Whether it be hosting or participating in an event, you will often find an OKI representative in attendance. Below are some social media highlights of events from this past month.